I want to announce and explain a new structure for our meetings that will take effect in January. This is an effort to more accurately reflect the changes that have occurred in our faculty meetings over time. 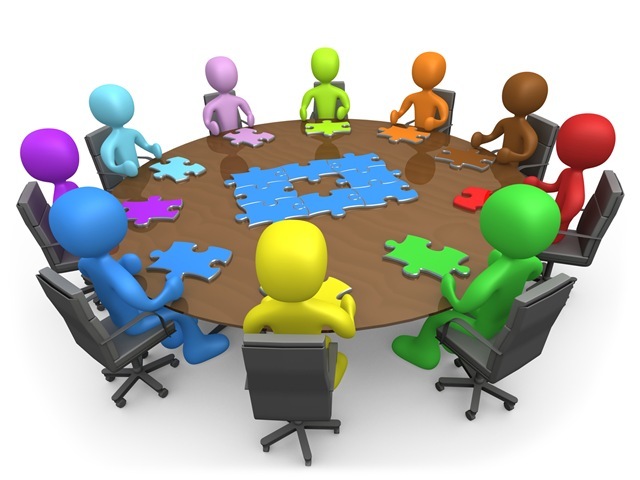 It also is an effort to make sure that we are bringing the right people together for meetings based on their mutual interests and need to share information, and less on their job titles or where they sit in the organizational structure. Over the years our faculty meetings have expanded to include people who are not faculty members. It began by including EPA professionals whose interests aligned with faculty interests because they do similar substantive work. It has grown to include some division managers and others with leadership roles who contribute an important perspective on issues and who gain insights from the meetings that help them implement decisions. Many of our faculty meetings have focused on operational issues about how we do our work, and it has been helpful to have this full range of people involved. This expanded participation reflects an increased recognition in the value of collaboration and sharing information among people whose work is interrelated. It also has made it easier for me to provide information and receive feedback from a group of employees who have significant leadership roles in delivering our services. This meeting replaces our current “faculty meetings.” Its purpose is to share information and discuss issues that are of interest to faculty members, all EPA professionals, and staff division heads. This meeting will include the issues that are addressed now in many of our faculty meetings. The FED meeting primarily will address operational and management issues for the School. These meetings may include budget updates, information about internal processes, such as course planning and materials, IT procedures and available resources, as well as information about new programs and employees. Additional staff members may be included when it is appropriate based on the topic to be discussed. Faculty involvement in working through these operational issues is crucial, and it is equally important to have the involvement and perspective of EPA professionals and division managers. It is important for us to collaborate effectively across different categories of employees. This monthly meeting is an attempt to do that by bringing people together based on their mutual interests rather than their job descriptions. The new name more accurately describes the attendees and the group is expanded slightly to include the few division heads who are not EPA professionals. I’m entirely open to a catchier and less Alan Greenspan-type name if anyone would like to make a suggestion. This monthly meeting provides an opportunity to focus on issues that are more closely related to our substantive work―what we do rather than how we do it. It is for faculty members and EPA professionals who do faculty-type work (in contrast with those who work primarily in an administrative capacity). Examples of issues for these meetings are discussions about how to respond to client inquiries, ethical issues and confidentiality, recruitment, what programs and substantive areas of work we should continue, expand, or decrease, and best practices in teaching, advising, and publishing. These meetings occasionally may focus on issues that apply only to faculty members. This might include discussions about the faculty committee structure and process, for example, or the School’s appointment, promotion, and tenure (APT) policy. In those situations EPA professionals may choose not to attend the meeting. The label “faculty meetings” describes the emphasis on substantive work rather than who attends. It continues to be imperfect because the meeting includes more than faculty members. Please feel free to offer suggestions for a better name. The line between the topics for FED meetings and the faculty meetings is not a bright one and we will experiment as we go along. In deciding which forum to use for a particular issue, I will consider which combination of people will most benefit from and contribute to the discussion. My expectation is that faculty members will attend FED meetings because they are directly affected by most of the issues that will be considered. Management team members are invited to attend both FED and faculty meetings. As in the past, I will cancel meetings if there is nothing pressing to discuss. Special Faculty Meetings on Promotion and Tenure Matters. We will continue to schedule special meetings of faculty members to advise me on promotion and tenure matters. Attendance at these meetings is governed by our APT policy and University rules. I consult only the full professors in matters of appointment to tenure-track positions, reappointment to those positions, and appointment and reappointment to fixed-term positions. I consult with all tenured faculty members on any promotion to associate professor conferring tenure. Makes sense. Thanks for looking at the different goals and adjusting the meeting format.